Will I fall behind or have to stay an extra semester if I study abroad? If you plan well, you can take courses abroad that will keep you on track academically. Each course that you take on a Rutgers Global–Study Abroad program will count toward your graduation total, but you will have to consult with advisors from academic departments so that they can determine whether or not the course(s) will satisfy specific requirements. Then your advisors will note in your file (or in Degree Navigator) that a certain course you took while abroad is to fulfill a certain requirement for your major, minor, or general educationrequirements. The grades you receive will also factor into your cumulative Grade Point Average. Is study abroad more expensive than Rutgers? Each program has a different cost, which can be more or less than Rutgers. You will find the program costs on the individual program pages on this site. If you are not certain of your program cost, please contact our office. You can pay for study abroad in a number of ways, including financial aid, personal funding, family contributions, and scholarships. Explore scholarships here. Is it safe to study abroad? My parents are worried. The safety and well-being of Rutgers students abroad is Rutgers Global's top priority. Once admitted to a study abroad program, we provide students with in-depth information on program location, instructions for how to prepare for a program and its locale, and tips and suggestions for how to remain safe and healthy throughout the study abroad experience. I’d like to talk with other students who have studied abroad before I make a decision. How can I connect with them? Global ambassadors are former study abroad students who volunteer their time to advise students and promote study abroad on-campus. They are experts on their individual study abroad programs and can you give you the student perspective of studying abroad, including tips on housing, classes, the host city, budgeting, travel and the local people. You will find the Global Ambassadors at study abroad around campus, in your dorms, and at student organization events. You can also get their Rutgers email addresses here. I’m going abroad next semester. What do you I do about my housing? Once you have received official word of your acceptance from Rutgers Global–Study Abroad and your host institution, you should go ahead and cancel your housing and meal plan. This can be done by submitting your letter of acceptance to Housing and Residence Life and Dining Services. What travel documents do I need before I go abroad? A valid passport is required to enter and exit foreign countries. A passport should be obtained or renewed at least four months prior to your program’s departure. If you already have a passport, do make sure that it is valid at least 6 months after your program’s end date. The process for applying or renewing a passport can take up to 8 to 12 weeks to complete and there is a fee for this service. Many countries require study abroad students to also obtain a student visa or residence permit. More information about this process, and whether or not your host country requires such documentation, will be available under your Applicant homepage once you have been accepted into your program. I’m back from study abroad, now what? You can share your stories and help advise prospective study abroad students by applying to become a global ambassador. Global ambassadors volunteer to engage their peers in the promotion and outreach of study abroad opportunities. Contact Christina LoBrutto at at clobrutto@global.rutgers.edu to apply. How should I include my study abroad experience on my resume? The skills you gained while studying abroad will certainly look great on your resume, but you should also think about how you can use your experience in an interview setting. Students are encouraged to visit Career Services to discuss the ways they can use their study abroad to gain a professional edge. 1. What is an I-20 or a DS-2019? I-20 is the Certificate of Eligibility for F-1 students and DS-2019 is the Certificate of Eligibility for J-1 students. You will need either the I-20 or DS-2019 from Rutgers before you can apply for a U.S. visa. In addition, you should keep these documents in a safe place and carry them with you whenever you travel domestically or internationally. 2. When will I receive an I-20 or a DS-2019? You will receive an I-20 or DS-2019 from either Rutgers Graduate Admissions or Undergraduate Admissions after you have submitted all the necessary documents to the university. 3. Can my dependents come with me to the U.S.? Yes, your dependents (spouse or children) can accompany you to the U.S. on a dependent visa (F-2 or J-2) if they choose to stay with you through the duration of your study. Additional proof of funding is required if you would like to bring your depends with you. A minimum of an additional $5000 is necessary for your spouse, and $4000 for each accompanying child. Please note that F-2 spouses are not permitted to work in the United States, but they may enroll in classes part time in an academic program. J-2 dependents may apply to USCIS for employment authorization only if the income they earn will not go to the support of the J-1 principal visa holder. In addition, dependents are required to have comprehensive health insurance coverage during their entire stay in the U.S.
4. How do I apply for a visa? The basic U.S. visa application for most visa classifications is Form DS-160; some F-1 and J-1 visa applicants may be required to complete additional forms (DS-157 and/or DS-158). The DS-160 visa application form is available online at https://ceac.state.gov/. We recommend you read the Frequently Asked Questions on the DS-160, Online Nonimmigrant Visa Application page prior to completing the online visa application. For additional visa information and instructions on how to apply for a visa, go to: https://travel.state.gov/content/visas/en/study-exchange.html. Visit Ten Points to Remember When Applying for a Nonimmigrant Visa for additional tips. 5. Where can I register for on-campus housing arrangements? Housing assignments are on a first-come, first-serve basis. Undergraduate students can register for on-campus housing through the Enrollment Pathway. Residence halls are typically closed during Thanksgiving, winter, and spring break, but there are now several halls that remain open during school breaks, and students who will need housing during breaks should indicate this in the designated area on the housing application. For graduate students, housing information is noted in the graduate admissions packet sent to international students, but you may contact the housing department directly at 55 Bevier Road, Busch Campus, in Piscataway, and access information online at ruoncampus.rutgers.edu. 6. I am currently in the U.S. in a different status other than F-1 and J-1, how can I change my status? Students with a nonimmigrant status other than F-1 or J-1 who wish to change to one of these classifications should contact us at globalservices@global.rutgers.edu as soon as you receive your I-20/DS-2019 from Rutgers. We will then provide instructions and assistance in applying for a change of status. For more information, see Change of Status from F-1 to J-1 on the International Students and Scholars section of our site. 7. I am transferring in from a different institution in the United States. How do I transfer my record? Ask the adviser to complete a Rutgers International Student Advisors Report form and send it to Graduate Admissions. You will be issued a “transfer pending” Rutgers I-20 to “check in” at Rutgers Global–International Student and Scholar Services no later than the end of the first two weeks of classes. After you have registered for classes, your SEVIS record will be updated noting “transfer complete”, and you will be issued another I-20 for “continued attendance”. If you fail to register for classes prior to the last day of Rutgers “drop/add period” you will fall “out of status” with the USCIS. 8. What should I pack and bring to the U.S.? In addition to these items, you should make sure that you have access to money. If you do not have an ATM card that is able to obtain cash from a U.S. cash machine, it is best to exchange some of your own currency for U. S. dollars before you leave home. The university and local businesses accept only U.S. dollars. When you arrive in the U.S., you should have sufficient funds to cover your expenses for several weeks, but you should not travel with large amounts of cash to avoid the risk of possible loss or theft. We also recommend that you bring a credit card that works internationally. 9. How do I get to campus after I land? If you live on campus, Rutgers has partnered with a local ground transportation service to transport you from you arrival airport (Newark, JFK, LaGuardia or Philadelphia) to our New Brunswick campus. You may sign up for such service through your online housing portal. For any questions, please contact resident@rutgers.edu. 10. 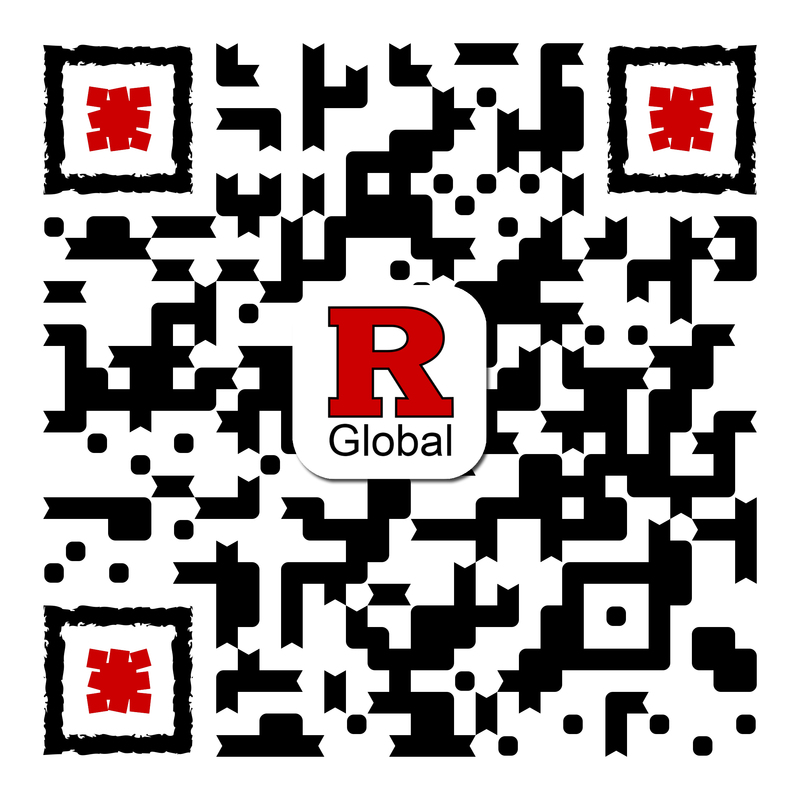 Where do I check in with Rutgers Global–International Student and Scholar Services? All F-1 and J-1 students and their dependents are required to check in with Rutgers Global–International Student and Scholar Services immediately upon arrival. To check-in electronically, make sure you login to RGlobal with your NetID and password and upload the biographical and F-1 or J-1 visa page on your passport. 11. How do I update my address, phone number, and email? As an F-1 or J-1 student, you must update your physical address, email, and phone number whenever changes happen. You can update such information on your MyRutgers portal. https://personalinfo.rutgers.edu/pi/ à click Address à enter address in “Local Address” and/or cell phone number in “Home Phone,” and enter a non-Rutgers email address as required. If you live on campus or have a PO box address (LPO, BPO, CPO, etc. ), do not use the PO box address. Instead, simply type in the residence halls you live in and your room number. Please do not give your department’s address. If you have an alternate U.S. address that is not at the university, such as a relative’s address, you may enter it in the “Home Address” portion of the screen. 12. When and where do I get my Rutgers University ID (RU Connection) Card? You are eligible for a Rutgers ID card once you have registered for classes. You may receive an RU Connection card through one of the locations here: http://pst.rutgers.edu/locations.php. Undergraduate students must complete placement exams before you are eligible to register for any classes. Depending on the specific school you are in, you may be automatically registered for the first semester by your school. Please contact your school if you have any questions regarding registration. If you are a graduate student, we recommend you work with your individual academic departments for course registration. 14. How do I get a social security number (SSN)? Newly arrived F-1 and J-1 students are eligible to apply for an SSN if you have been in the United States for 10 days or more, and if you have been offered an on-campus employment or a fellowship. While we understand that SSNs may be needed in procedures like applying for a credit card, signing up for a cell phone plan, etc., please note that SSNs are designed for tax purposes for job payments and those procedures can be possible without an SSN. For continuing students, you may apply for an SSN if you have a paid employment off-campus through Curricular Practical Training, Optional Practical Training, or Academic Training. 15. How and when should I pay my term bill? Deadlines for term bills payment may vary depending on each student. You may check the deadline of your term bill through the Rutgers Student Accounting. You may pay your term bills in a variety of ways at http://studentabc.rutgers.edu/payment-options. Students may also use Flywire, a vendor authorized by Rutgers to facilitate international payments. 16. What is International Student Orientation (ISO)? Every fall and spring semester, Rutgers Global–International Student and Scholar Services conducts a mandatory and comprehensive orientation for new international students. In the fall, it is a weeklong, conference run program that allows students to fulfill legal immigration-related obligations, meet with their academic units, engage in various fun social activities, and learn all about Rutgers University. 17. What is the cost for the ISO? The cost of the ISO will automatically be billed to your student term bill as New Student Fee. For graduate students, the fee is $84; for undergraduate students, the fee is $175. 18. When is the 2017 ISO? The 2017 ISO will be held on Monday, August 28 to Friday, September 1. 19. How do I register for ISO? Undergraduate students should register for the ISO through Enrollment Pathway. Registration is not required for graduate students. Please note that the program is mandatory for all new incoming international students (including transfer students). 20. Where should I go on the first day of ISO? On Monday, August 28, all new international students should report to the College Avenue Gym before 9AM. You will pick up your orientation packet at the welcome address. Following the welcome session, there is a resource fair with various Rutgers units for you to meet with all of the Rutgers representatives. 21. Where will I stay during orientation week? While university residence halls officially open on Saturday, September 2, those undergraduate students who will be living on-campus may move into their assigned on-campus housing spaces on Sunday, August 27. This is a special accommodation so students can participate in the orientation program. 22. What should I bring to ISO? You will receive an orientation packet at the Welcome Event on Monday, August 28. Make sure you have something to take notes in throughout orientation week (pen and notebook, electronic devices, etc). In addition, please make sure you have your passport, I-20/DS-2019, and I-94 (or copies of these) with you to check-in online through the RGlobal portal. 23. Who are the ISO Volunteers? The ISO Volunteers are a selected team of current students who help out with all the activities during orientation week. They are your first point of contact for orientation and they should be able to help you with any general questions about the program as well as Rutgers. If you have any specific legal or administrative questions, please direct them to the internatioanl student and scholar services staff at Rutgers Global. 24. Does Rutgers Global serve international students and scholars at all university locations? While Rutgers Global is a universitywide unit that supports all international students and scholars on all university locations; the offices that provide one-on-one services to the international population varies on each campus. 25. I am entering Rutgers as a matriculating international student. Which visa do I need to apply for and which forms do I need to submit? Once accepted into a degree program at Rutgers, you will need to apply for either an F-1 or J-1 visa. The determination of the visa category will be made based on several factors including your source of funding and your visa sponsoring agency. The majority of our degree seeking students are here on F-1 status; we also have some students in J-1 status. You will be informed of this decision by the graduate or undergraduate admissions office and will be asked to provide proof of funding and other documents needed to issue your immigration document/visa eligibility certificate: a Form I-20 (Certificate of Eligibility for Nonimmigrant F-1 Student) or a DS-2019 (Certificate of Eligibility for Exchange Visitor J-1 Status). Once you have your Certificate of Eligibility, you can apply for the appropriate visa at a U.S. embassy or consulate. For more information on the visa application process, please visit the Department of Homeland Security’s Study in the States. 26. I am interested in spending a short time at Rutgers in a training program. What are my options? Rutgers Global–International Student and Scholar Services are able to sponsor a training program on a J-1 visa in the subcategory “Student Intern”. If you are an undergraduate or graduate student in your home country and would like to participate in a research or project based internship at Rutgers, you can reach out to the appropriate Rutgers department or unit for more details. All J-1 student interns must complete the Intern Verification form to confirm your eligibility. Student internships can last between one and 12 months and can either be paid or unpaid. Student interns can with any funding source, or combination of sources, including 100 percent personal funding. Evaluation forms must be completed by the student intern and sponsoring professor before the end of the internship period. 27. I am entering Rutgers as a short-term international student. Which visa do I need to apply for and which forms do I need to submit? Depending on the program details, students would apply for an F-1 or J-1 visa. Both of these visa categories support a non-degree program option at Rutgers. A student adviser would be able to determine with most appropriate visa category for the particular program. For more details on which forms to submit, please contact the short-term non-degree international student adviser, Carissa McCarthy (at carissam@global.rutgers.edu) for further guidance. 28. I have received an invitation letter from a Rutgers department to be a visiting scholar. How can I start the visa process and what are my next steps? Rutgers Global–International Student and Scholar Services works closely with departmental administrators to determine the appropriate visa category. Once the right visa category has been determined, your host department will provide information on how to request the right documents for your visa type. The center staff will work with your departmental administrator to ensure that the process goes smoothly. 29. I am coming to Rutgers as an international student or scholar, and I am bringing my family with me. How can I ensure their arrival to and residence in the United States for the duration of my time at Rutgers? If you are looking to bring your spouse and/or children with you to the United States, the first step is to determine what dependent visa status they will be coming on. Please attend a dependent’s workshop offered by Rutgers Global–International Student and Scholar Services to learn more about the process. In most cases, the student will need to apply for an immigration document for their dependents, show adequate additional funding, and proof of insurance coverage. If you as the primary visa holder are on F-1 visa status, then your dependents will need to apply for F-2 visa. If you as the primary visa holder (student or scholar) are on J-1 visa status, your dependents will need to apply for J-2 visa. Once the I-20 for the dependent F-2 (Certificate of Eligibility for Nonimmigrant F-2 dependent) or the DS-2019 for the dependent J-2 (Certificate of Eligibility for Exchange Visitor J-2 dependent) is issued, your dependents can then apply for the appropriate visa at a U.S. Embassy or apply with the USCIS for a change of status within the United States (if they are already here in some other nonimmigrant status and eligible for a change of status). 30. What about housing for me and my family? Rutgers–New Brunswick offers two-bedroom apartments on Busch campus for students with families. For more information, visit the Family Housing website. Faculty scholars and graduate researchers can contact Maribel Normandia at 848-932-1007 to inquire about short-term housing options. 31. I am a Rutgers staff or faculty member, and I’d like to get involved with the annual International Student Orientation. How can I do so? We always welcome cross-campus partnerships to enrich the quality of our program and are always looking for ways to make it most effective, enjoyable, and memorable for our incoming international students. If you would like to get involved with the program, please contact Lauren Tong, Assistant Director for International Student Services at ltong@global.rutgers.edu. 32. I am an international student or scholar, and I’d like to get involved with social and academic events on campus. What are my options? Rutgers Global hosts a variety of international programming that you can participate in throughout the year. Everyone is welcome to be a part of our programming initiative, the International Friendship Program (IFP), a cross-cultural social club for both international and domestic members of the Rutgers community. If you would like to sign up to receive information on IFP events, please email us atcgsifp@global.rutgers.edu. Rutgers Global–Programs offers dozens of free, on-campus global programs and events throughout the academic year. For a full event listing, see our event calendar. If you are a student and interested in getting involved on campus, make sure to visit www.getinvolved.rutgers.edu for a list of different activities as well as student organizations on campus! Federal law requires you to file tax returns; if you fail to do so, you are out of compliance with the law, which can result in serious legal difficulties with b oth the IRS and USCIS. Remember, if you earned income in the U.S., your employer has already turned over your withholding dollars to the IRS, so the IRS already knows you had income. 6. I read that if the Substantial Presence Test doesn't apply to me, I'm an "exempt individual." Why do I have to pay taxes if I'm "exempt?" 8. I worked last summer on OPT, and my employer withheld FICA tax from my paycheck. However, I was only in my third year in the U.S. as an F-1 student, so I was a nonresident for federal tax purposes and shouldn't have had FICA taxes withheld! Is there anything I can do about this? Everyone who files a tax return must have a Form W 2 from your employer OR a Form 1042-S (for students with fellowships or scholarships), or both. The W 2 is the legal document showing how much you earned and, of that, how much tax actually was withheld. The 1042-S is the legal document showing the dollar amount of your fellowship or scholarship, and other information required for tax filing. Your employer or fellowship granting organization is required by law to provide you with your W-2 and/or 1042-S. If you have not received your W-2 and/or 1042-S by early to mid-February, tell your department or contact the Office of Payroll. 1. How long does it take to receive an I-20 or DS-2019 Certificate of Eligibility for a spouse or child dependent? Rutgers Global–International Student and Scholar Services will process and issue the status document for your spouse or child within two weeks of receiving the completed request. 2. I am a spouse or child dependent. What if I am already in the United States on a different visa? If an eligible dependent (spouse or child under 21 years old) is currently in the United States on a visa status other than F-2 or J-2, you may choose to change the visa status by applying for an F-2 or J-2 visa. However, please note that they may need to apply for a change of status with USCIS. Please make an appointment with an international student or scholar adviser at Rutgers Global to find out what you'll need to do in your specific situation. 3. What if I am not married yet? If you are not married yet but have plans to marry, we can still issue the I-20 or DS-2019. However, you will need to show a marriage certificate to the visa officer at a U.S. consulate in your country when you apply for the F-2 or J-2 visa. 4. What is a child dependent turns 21 while they are on F-2 or J-2 status? A child dependent who is expected to reach his or her 21st birthday while they are in the United States will need to either apply to change to an independent visa status (such as an F-1 or J-1 status) or leave the United States and return home before they turn 21. 5. I am a spouse coming on an F-2 visa with an international student or scholar at Rutgers. Can I study full-time while I am here? We recommend you think carefully about the purpsoe of your visit to the United States. If you would like to study full time, you should apply for your own F-1 visa. If you want to study full-time after joining your spouse in the United States as an F-2 dependent, we recommend you apply for the F-1 visa abroad instead of applying for a change of status with USCIS. 1. Who are Rutgers’ international partners? Rutgers has nearly 400 official agreements with international institutions. Please visit our partnerships database to find out about partnerships in specific regions or countries. 2. When is an memorandum of understanding (MOU)/international agreement necessary? In some parts of the world, MOUs are required to formally initiate or demonstrate partnership between institutions. Sometimes, collaborations require the commitment of resources (financial or otherwise), exchange of intellectual property, or sustained mobility of students or faculty. In any of these instances, official MOUs are necessary to protect those directly involved, as well as the university as a whole. Any program involving mobility of undergraduate students must always be covered by an agreement. 3. How do I initiate an MOU? The first step in initiating a formal MOU (after due diligence has been completed) is to complete the Please refer to the partnership guidelines for additional information. 4. I would like to host a delegation from an international partner university. How does Rutgers Global help me administer the visit? Rutgers Global can provide guidance and direction to Rutgers schools or units that would like to host international visitors. Representatives from Rutgers Global may be able to meet with visitors hosted by schools and units if such meetings are requested by the visitor or by the school or unit. 5. I am a staff or faculty member at an international institution, and would like to initiate a partnership with Rutgers. How can Rutgers Global help me to get started? Rutgers Global are a service unit within the university that support Rutgers faculty, therefore partnerships are rarely initiated from within our office. We are always happy to connect our faculty with faculty from around the world, but we first encourage anyone interested in partnering with Rutgers to closely review the information available online for the department or school in which you are interested. Once it has been determined that there is strong potential for collaboration, feel free to contact us, and we will help to introduce you to colleagues.